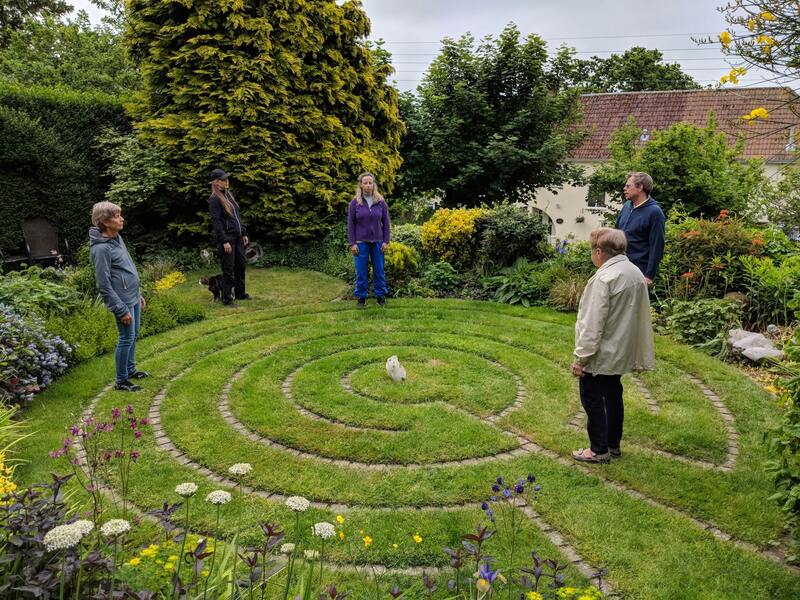 The Tor – the hill with the tower which, among other things said to symbolize the contact between heaven and earth, a place for power charging and insight. 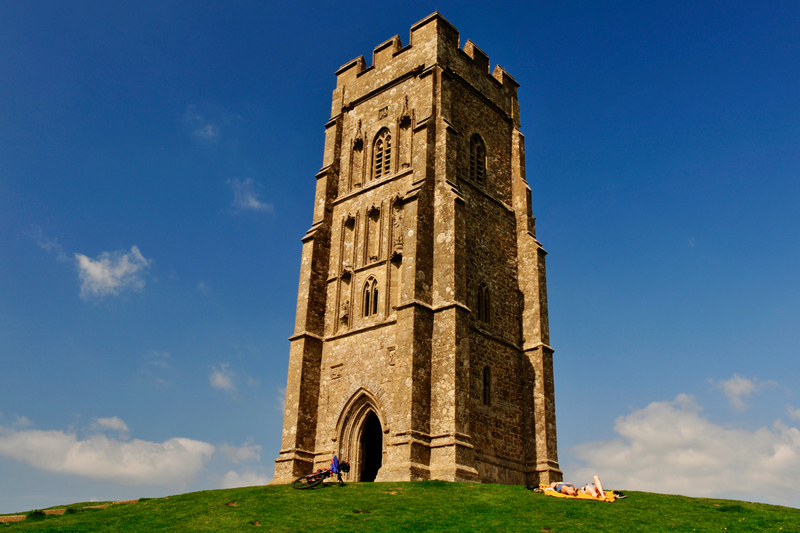 The pretty little town of Glastonbury is well known internationally by people who are interested in energy-enriching places on earth. 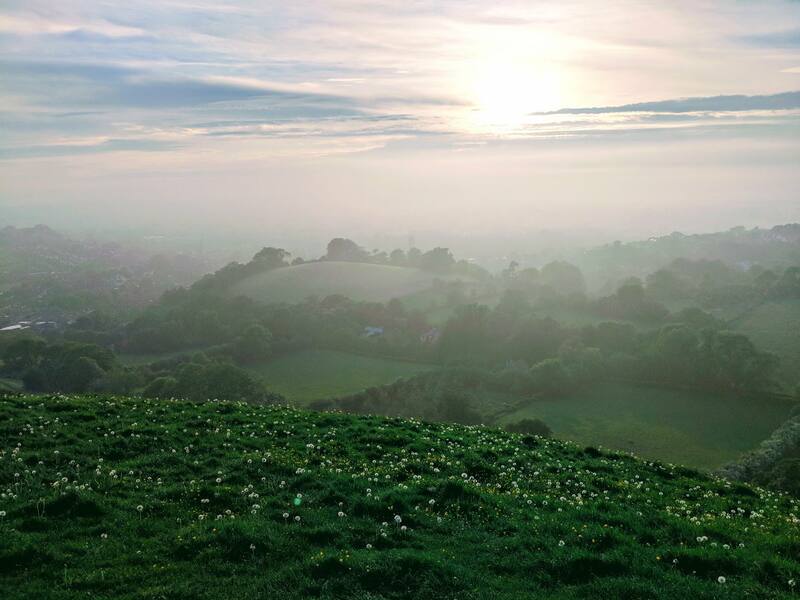 According to Fan Xiulan's Glastonbury "a place on the planet that has the ability to open people's hearts". The place is like the heart or the heart chakra Dan Tian. 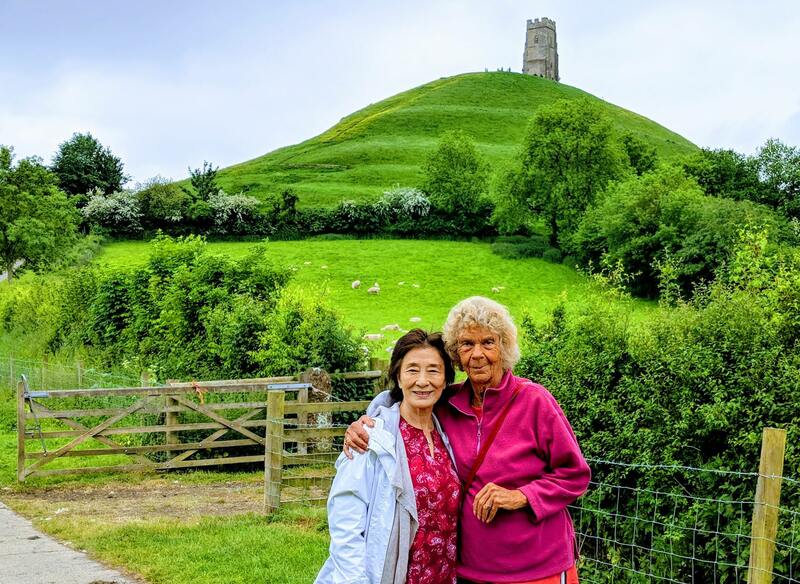 We have traveled to Glastonbury four times since 2016 and had absolutely wonderful trips. Our travel arrangements are visiting Glastonbury about 5 dagar. We visit the most important and beautiful power spots, known and unknown, where we together with Fan Xiulan can open up and come into contact with both a deeper flow of the site as well as in our internal. 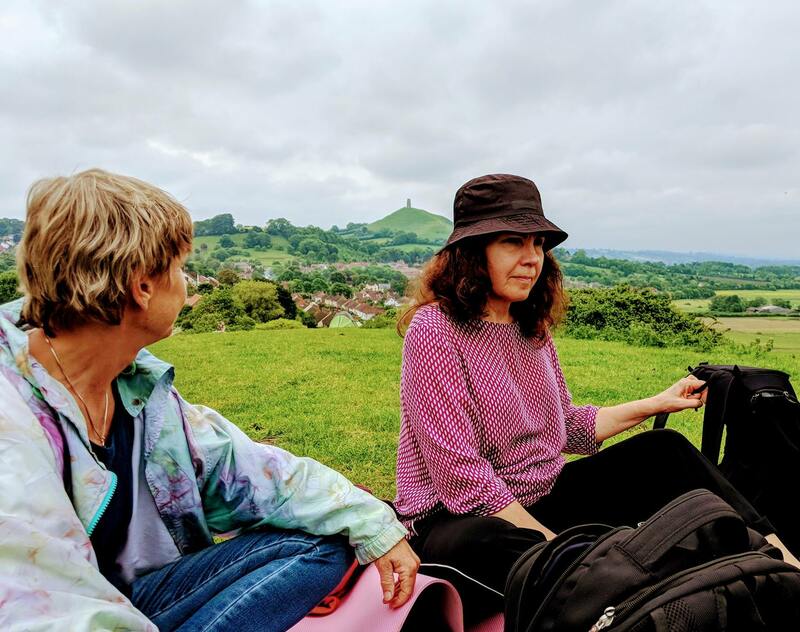 The wonderful sources that convey the vitality of the Gate out to the whole Glastonbury and where the source flows into a paradisiacal garden, where we made a single treatment with fresh spring water, meditated and got in touch with our inner stillness. Course with Fan Xiulan with the teaching of different health practices, guide that shows and tells of force are also included. Read and yearn for upcoming trips ? E: Day 1: Abbey and The Gate. Fantastic weather and warm. 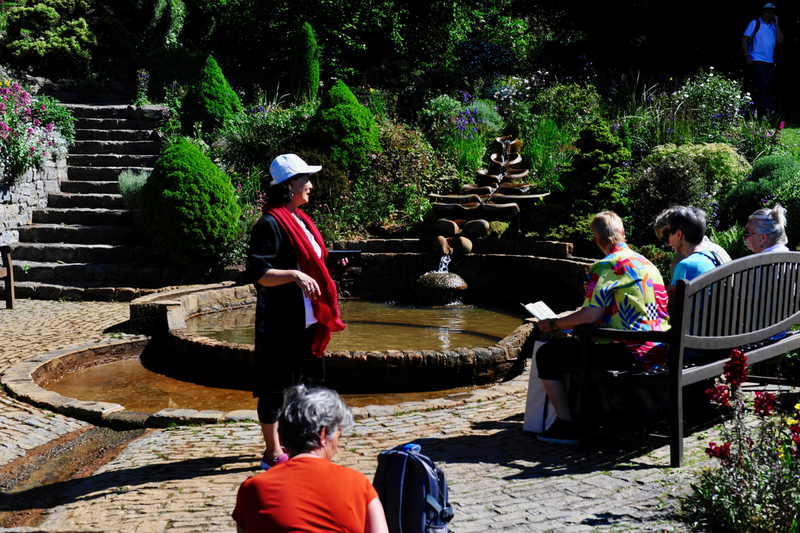 Very powerful in the Abbey and the power spot where we did still qigong. FNT and healing to keep the druid stone and meteorite. I sang in the kitchen, a beautiful sound, also felt strongly. becomes heavy, compact, and full of all energies. Very happy to be here! Laughed inside the Tor with his hands raised to the sky, f ck desire to throw myself forward and fl y up the tower in the very strong winds. The Chalice Wells f ck we drop everything old, cleanse us, go in the water at the source, the red water, then we were newborn ... I took the water on his head, neck, 3e eye, kronchakrat, poor, hands and purified aura, healthy, life-giving, felt good, natural. Wonderfully. Transformerande. Just in time length up to days. Otherwise fine with still Qigong to Glastonburymusik. deep meditation. Integrate new and clear away old. nice rooms, good food and good service at Tordown. Very well organized trip – wav qi, Love, consideration and flexibility al. A: Very fi ne and nice on the Tordown. Just the right atmosphere for the purpose of the journey. My room was wonderful and exactly what I needed to get through the days. Good structure and organization of the day with morning qigong and meetings in the living room. Safe to land there with all the impressions! Nice to reconcile with each of us how we experienced power sites. Important to ventilate! The hospitality I f ck when I became ill with a migraine is something I will never forget. Thanks again! Extremely valuable to get a deeper description of Fan Xiulan about the power seats and its energies. It was a completely different understanding of it all for me. Good planning at the program each day including lunch and dinner breaks. Perfect with the cozy vegetarian restaurant and all vegan picnics. Suited me so well. Nicely treatment of me as the new group also. Felt at home right away. Had two great experiences there in connection with the special meditation in the tower. Felt a touch of a huge force from above and a strong heat from the earth. Day 3: Interestingly health consultation as f ck the result that I really want to deal with my health. Day 4: Wearyall Hill, The circle with Valery ... afterwards so happy with the feeling that I'm on the right track ... White source: Exciting and fi ne place! Day 5, The White Horse with eyes that glittered, I will forever preserve in my heart. Was so happy and strengthened! Silbury Hill with the powerful raptor who sat next to me when I visualized that I was on top. Wonderful stones of various types that spoke to me, each in his own way. Great start to this week, a really f n meditation. It was amazing to meditate together in so fi ne surroundings. It was a powerful meditation with the purge of old luggage. Very strong with Valery and her channeling. It is the first time I feel an angel coming. fantastic place. Nicely Fan Xiulan told about the gate to a new life and to go through the purifying source and finally drink the water from the source. And of course the flower cave! It was a cleansing and uplifting day for the whole. Maria Church – nice church, I had a very powerful experience where. It was as if Maria so welcome and gave me a warm hug. Meditation to St. Michael, I could notice the depth. Wearyall Hill – Nice place with a lot of history. Valery channeled Archangel Joseph of Arimetea, alchemist Merlin and St. Germain. It's so alive and it felt strong. Again touched me very strongly this. Nice to see a mighty horse. We'd imagined there, it is possible because we have already learned to use the idea of ​​the way. 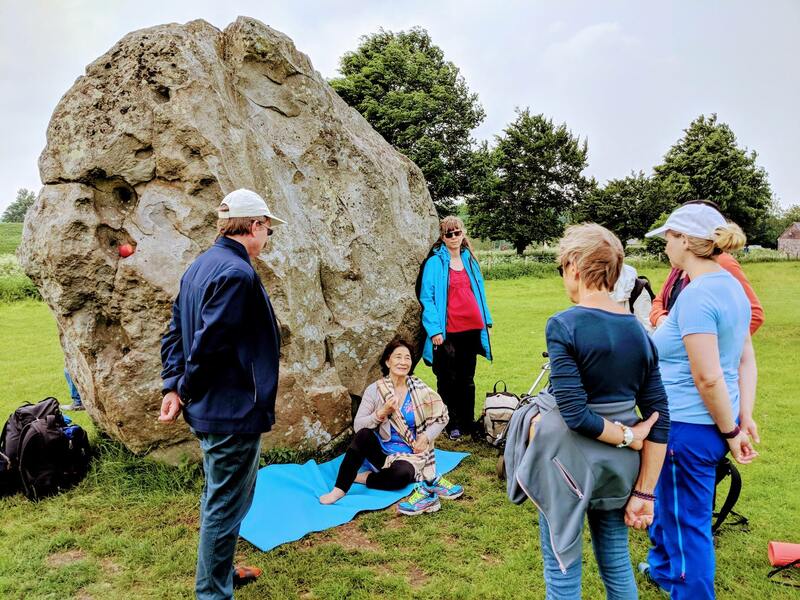 Avebury stones: Just by itself was the site fi n. It was great to eat food in these fi ne surroundings and with a bit of relaxation before we went on. Fabulous plats! Thanks for 5 fi ne days! Abbey Collection / purification very good. Valery conveyed something entirely new and highly positive experience. The stones and the understanding of these forces felt good. murderer Earth – Laughter!! Went back to healing stone itself – nice feeling, back, happens. Meditation with new Glastonbury CD landed very deep. Chalice Wells – Silent Minute touched me strongly. The hike in water was doubly refreshing. The experience of flowers, trees and "cave" was fantastic and then St.. Michael and light!! strong concerned. 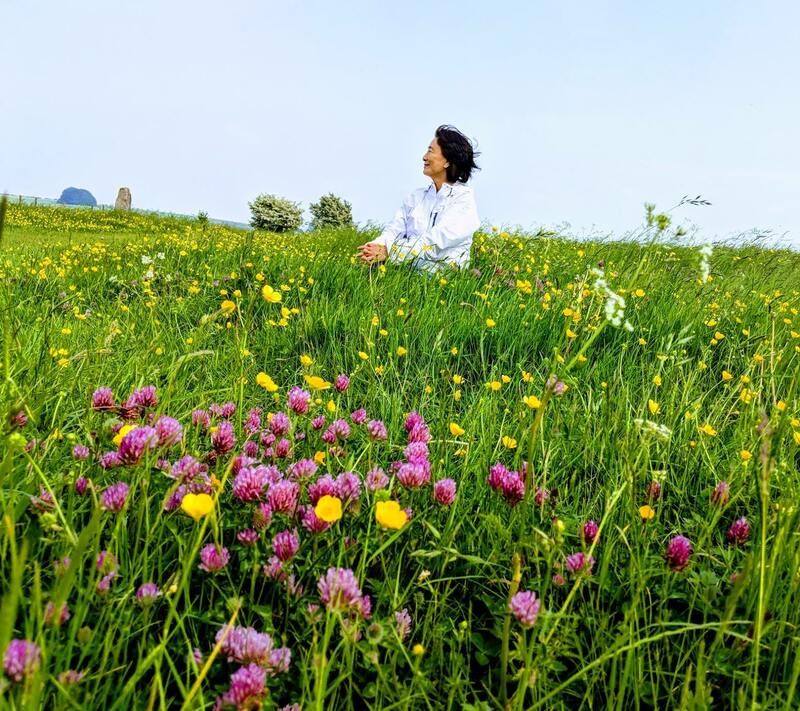 Wearyall Hill – Again a fi ne and strong meeting with Valery, so rewarding to listen to her. Fills me with gratitude and joy. Lunches at the Excalibur I really appreciated. white source – Washed me with the water and it felt cleansing. Consultation with Fan Xiulan, I appreciated. Evening tour to The Gate was magic with food, in, beautiful sunset in the mists of Avalon. 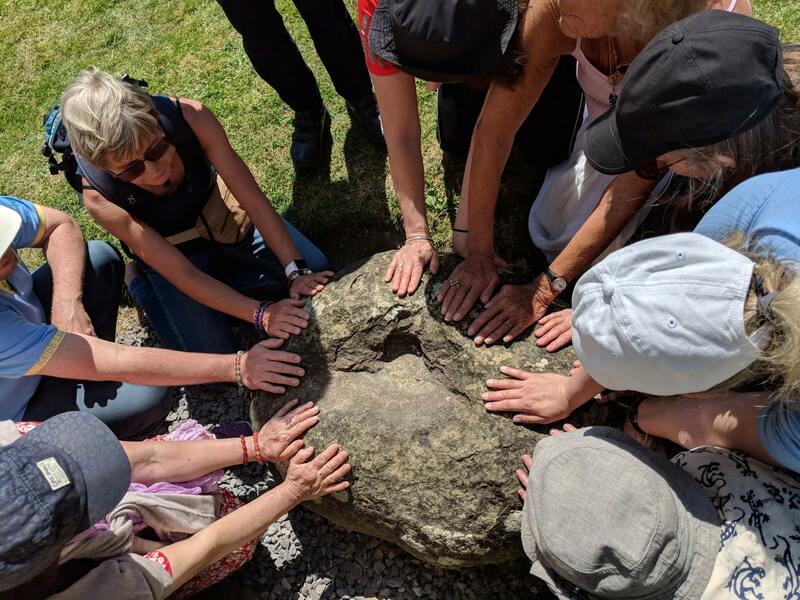 Avebury – Incredibly good "ending" to the trip. 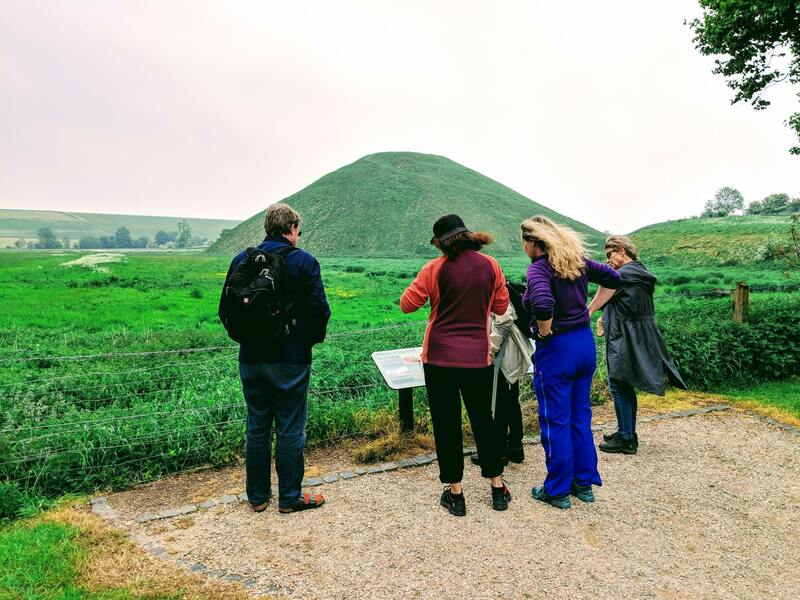 Silbury Hill – pyramids, strong experience – I was really up there. The stones in the meditation with Glastonbury disc – "I came home" so lovely. Even my quiet moments at the two stones, liberating movements. Fan Xiulan guidance has been fantastic during the whole trip. What a privilege to experience this!